I am finally sitting down at my computer long enough to write a real blog post. It is absolutely absurd the number of things that can get between a girl and her computer. And since the thing that has been taking me away from my computer the most is Inspired Collective, I wanted to touch upon a totally awesome service we offer in the shop, Bride Love. Last week , with announcing our brand new site, I announced "Bride Love" but haven't had time to really show off it's bells and whistles. Bride Love is a way for me to download all the information you want without everything you don't want. This is a way for me to give back everything I can to the wedding industry and you wonderful brides to cut hours upon hours of research, confusion and everything else I went through. Above all else, I really just want to help any bride out there that need a sounding board and something to just talk to from one bride to another. Bride Love is a simple, brand new consultation for brides to get down to business and get a clear path on the road to wedding planning. Think of me as your BFF, a sounding board to bounce ideas and inspirations off of to create something amazing. We meet in the brand new digs at Inspired Collective, coffee in hand, and get started. We start with the basics: your style, budget, favorite location, etc. We go over the budget with my brand new tool to help you stick to your numbers. Having a firm grasp on this from the very beginning will help in not going over-budget later. 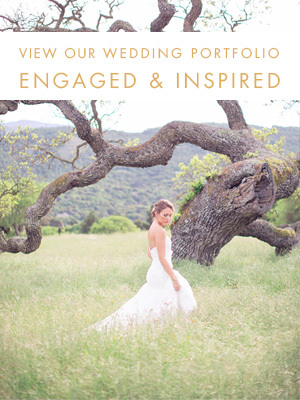 We talk design, details, personality and how to accomplish a wedding that makes your statement. This is followed by vendor recommendations as well as venue recommendations. And to end things off, we of course address everything you may need help with, including those super random questions that are just bound to come up. From there I pass you off to your vendors with an open door policy that I am only a phone call away should you need any more help. It all started a month after the wedding when I posted a blog post (which still holds completely true) about chatting it up with brides. And oh did you brides follow suit! You kept me crazy busy with coffee dates and phone chats answering all those crazy questions that only a bride in the midst of planning has. I also helped with recommendations, DIY ideas, vendor referrals and a whole lot more. After meeting with almost 100 brides, I saw the need for a really savvy friend that knows a lot about weddings, and can really help. Bride Love is in no way a replacement of a planner. I still think it is incredibly important to have a planner/designer, I really do. But if you are just starting out, and have no idea where to look, I think it is equally important to gather some info before just booking the first planner you find. Planning isn't my passion but see, weddings are. And after 2 years of studying this industry like mad, I know a lot. Not only do I know trends, designs, and DIYing like crazy, but I know vendors and venues. I have seen over 100 venues, and if you think I am lying....look at my iphoto (WAY too many venue photos going on there). And I will definitely say I know a lot about the vendors of the Bay Area. And now for the sweet deal. For the month of September and October I am offering the brilliant price of only $100 per consultation! This is such a steal for the invaluable information you will walk away with.